The lecture by Har-El member Rica Hed which was scheduled for this coming Saturday, February 9, has been postponed. On Saturday morning, February 23, following Shabbat morning services and Kiddush, we will hear a lecture in English by Rabbi Ken Kanter (pictured), the new rabbinic director of the “Society for Classical Reform Judaism” in the USA. The lecture will be titled “We Jews on Broadway” about the history of musicals on Broadway and the Jewish connection to this story. For more details about the lecture, please click here . On Wednesday, February 13, Rabbi Ada will meet with students from Sapir College for a lecture about Reform Judaism. Next week, on Saturday morning February 16, Har-El members Gila & Pesach Shapira invite the members of the congregation for a festive Kiddush in honor of the birth of their granddaughter, Michal. Mazal tov to Grandma Gila & Grandpa Pesach and the whole family! During the weekend of February 22-23, we will welcome to Har-El the new rabbinic director of the Society for Classical Reform Judaism in the USA: Rabbi Ken Kanter. On Friday evening, February 22, Rabbi Kanter will deliver the sermon in English, and on Saturday morning, February 23, following services and Kiddush, he will deliver a presentation in English (details are above). 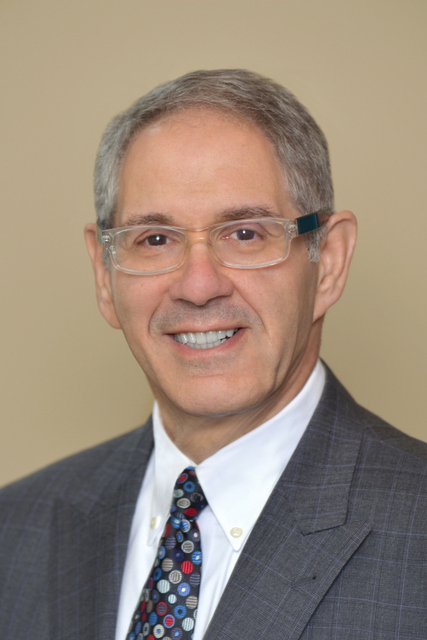 To read a short bio of Rabbi Kanter, please click here . 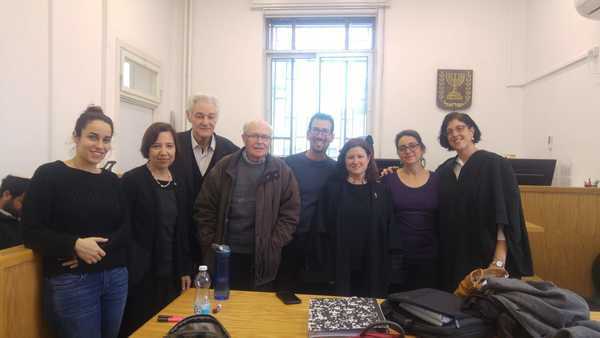 On Thursday, February 7, a court hearing was held at the Jerusalem District Court regarding our movement's appeal against the Jerusalem municipality on behalf of the five Jerusalem Reform congregations (including Kehilat Har-El), concerning its refusal to fund pluralistic programs from the budget for Jewish cultural and religious events. In the photos (on the left) representing Kehilat Har-El: - Har-El chairman Zvi Giladi, Rabbi David Lilienthal, Rabbi Ada, and Cantor Evan. 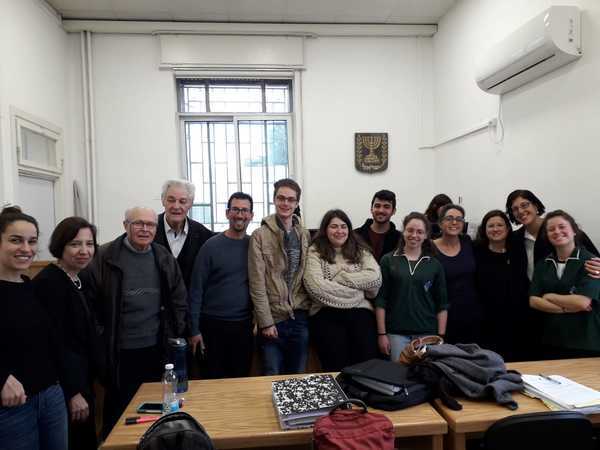 Yishar koach to the lawyers from the Israel Religious Action Center representing our movement: Orly Erez-Likhovsky and Miri Nahmias (standing on the right). On Wednesday February 6, Spencer Rosenberg from Sarasota, Florida was called to the Torah as a bar mitzvah at the egalitarian section of the Kotel. Mazal tov to him and his family! Please click here to read the Movement's monthly update in English! Please click here to read the Movement's weekly update (in Hebrew). For an abbreviated version of the announcements that is suitable for printing, please click here.